The importance of establishing clear regulatory arrangements for fishing activity was demonstrated with particularly dramatic effect by the Cod Wars in the Northeast Atlantic in the 1950s and 1970s. At the time, many foreign trawlers used to fish close to the Icelandic coast, for unlike today, there was no exclusive economic zone (EEZ) extending 200 nautical miles out from the coastal baseline. This led to a conflict over access to fish stocks, mainly between Iceland and Great Britain. At the peak of the conflict in 1975/1976, Britain even sent in warships. The situation was not defused until 1982, when the United Nations Convention on the Law of the Sea (UNCLOS) was adopted, establishing exclusive economic zones. This example shows the high level of demand for fish, a lucrative and highly tradable commodity. 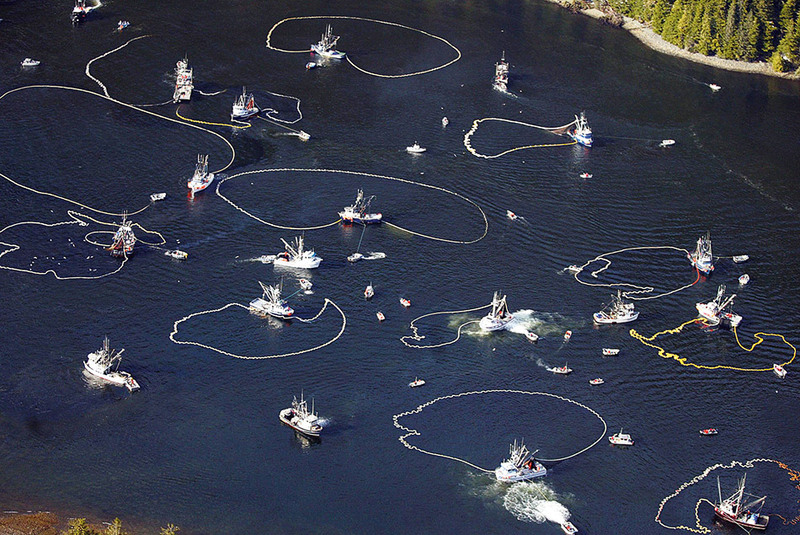 It also shows how serious the consequences of a poorly regulated fishery can be. Even today, there are periodic conflicts between countries over fishing rights or the allocation of fishing quotas. A much greater challenge at present, however, is the overexploited status of many stocks. The primary task of modern fisheries management is therefore to limit catch volumes to a biologically and economically sustainable level and ensure equitable access to fish as a living resource. 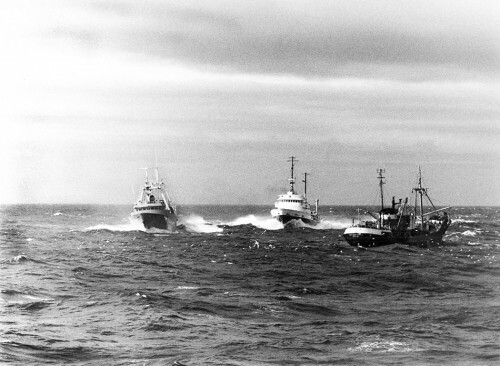 5.9 > A scene from the Cod Wars: the Icelandic vessel “Ver” (left) attempts to cut the fishing lines of the British trawler “Northern Reward” (right). The British tugboat “Statesman” intervenes. Fishing volume: To prevent too many fish being caught, the authorities can limit catch volumes (output). In most cases, this means setting a total allow-able catch (TAC). This defines the maximum quantity of a given species that may be caught in a specific area, generally the EEZ, in any year. Fishing effort: To prevent too many fish being caught, the authorities can also limit fishing effort (input). For example, their effort-based management measures can include limiting the number of fishing days, fishing vessels’ engine power, or the size of the fleet, or setting minimum mesh size for nets. Fishing quotas – equal rights for all? In fact, it is quite possible to regulate fishing effectively with the aid of fishing quotas. To that end, a total allow-able catch (TAC) is set for a specific marine area. The TAC is then broken down into separate national fishing quotas for the various countries which border this maritime region. For example, each Baltic Sea state has a national fishing quota. Of course, for this system to function effectively, more is required than a single national quota: otherwise, fishermen within a single country would find themselves in direct competition with each other and would attempt to catch as many fish as possible at the start of the season in order to fulfil a large share of the quota. This would lead to a glut of fish on the market for a short period, pushing down prices and ultimately harming the fishermen’s livelihoods. So in order to give fishermen a measure of security to plan their fishing activities for the entire season, the total allowable catch is generally allocated to individual fishing vessels, fishermen or cooperatives. Fisheries policy strategies in which fishermen are allocated long-term fishing rights in some form are known as rights-based fisheries management. Individual transferable quotas (ITQs) are the prime example. 5.10 > Classic approaches to fisheries management either focus on restricting catches or attempt to limit fishing effort. The term “fisheries management” encompasses a variety of methods which can be used to regulate the fishing industry. Their suitability in any given context depends on the fish stock and region. Extra Info An end to discards? 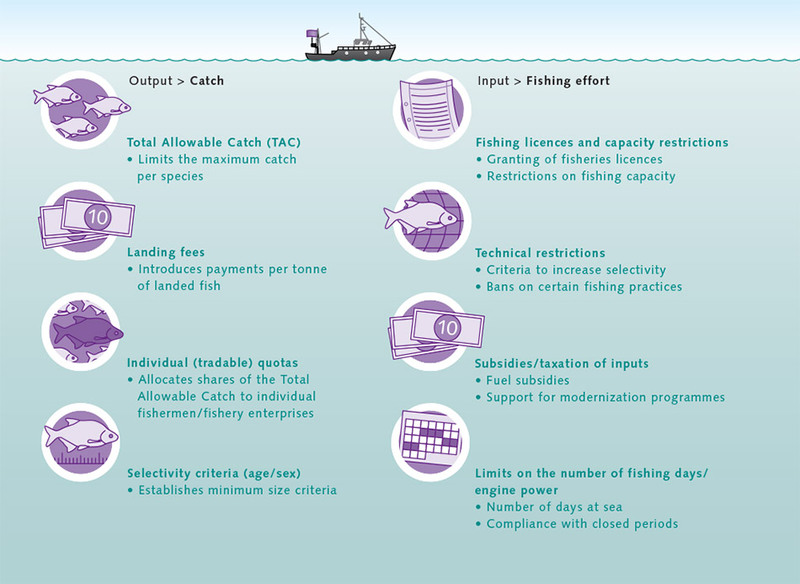 In an ITQ system, fishermen are allocated individual fishing quotas as a percentage share of the total allowable catch. As a rule, the ITQs are allocated for a period of several years, giving the fishermen the stability they need to plan ahead. The fishermen can trade their ITQs freely with other fishermen, which often results in relatively unprofitable enterprises selling their quotas to more efficient companies. Less economically efficient companies would be inclined to sell, and more profitable companies would be likely to buy the ITQs. The main goal of the ITQs is to achieve the greatest possible economic efficiency and sustainability. There is less focus on social objectives. In extreme cases, the quotas become concentrated in the hands of a small number of companies. One example is the New Zealand hoki fishery, which is now dominated almost completely by a small number of large fishery enterprises. Another example is the Icelandic fishery. The management of Iceland’s cod stocks is considered to be fairly good nowadays as regards sustainability. 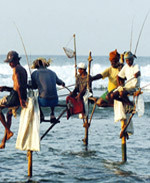 Following the introduction of ITQs, however, many family-owned companies left the fishing industry and sold their quotas to other enterprises. ITQs are traded like stocks and shares. High ITQ prices are therefore an indicator of good fisheries management: the higher the yield from the fish stock, the more valuable the fishing rights become. In Iceland, fishing rights were initially distributed free of charge to the fishermen based on their average catches at the time (grandfather rights). In other words, rights of access to this natural resource were allocated on the basis of historic fishing privileges, which in some cases go back many generations. As fisheries management has steadily improved, however, and fishing fleets became more efficient as a result of the rationalization measures described, the fishing rights – which are now very valuable – have become concentrated in the hands of a small number of enterprises. In Iceland, this development is viewed very critically. The preferred situation is more equitable distribution of profits from fishing. Some experts are therefore proposing that rather than granting permanent fishing rights, annual quotas should be auctioned instead. The advantage of this system, it is argued, is that smaller or recently established fishing companies could enter the trading scheme and acquire quotas at any time, without having to hand over extremely large sums of money. There are frequent demands at political level for small-scale coastal fishing to be protected, prompting calls for separate quotas to be allocated on the basis of fleet segment. This would mean that quotas allocated to small vessels could only be sold on to other small vessel owners and could not be used to increase a large vessel’s fishing quota. The expert view is that the ITQs are an effective tool for the management of fisheries, but as soon as social goals come into play, it is essential to rethink the basic principles. 5.12 > Hot competi-tion for limited resources: in Sitka Sound in Alaska, the herring fishery is only open for a few hours a year. Dozens of boats then compete for the catch.